Island_Del wrote: Aloha Brett. 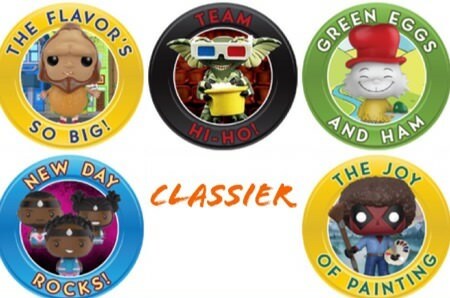 Thanks for posting this Dorbz Chase list with images! Such a handy thing to have. You mentioned you had a pretty good excel spreadsheet that you use. Are you willing to share it? I could use a good spreadsheet to start tracking all of my bounty. Glad you like it! Now that I'm looking at it I seem to have forgot to add Mega Man! As for the spreadsheet I'd go ahead and send Beau a private message with your email address and he'll shoot you an email. Here's a link to his spreadsheet thread. Mahalo Brett. I'm new into Dorbz as I've been only Pop! for just over a year. But dang, these Dorbz are starting to get good so I'm in! Got a large bulk order for cheap to get me started. Island_Del wrote: Mahalo Brett. I'm new into Dorbz as I've been only Pop! for just over a year. 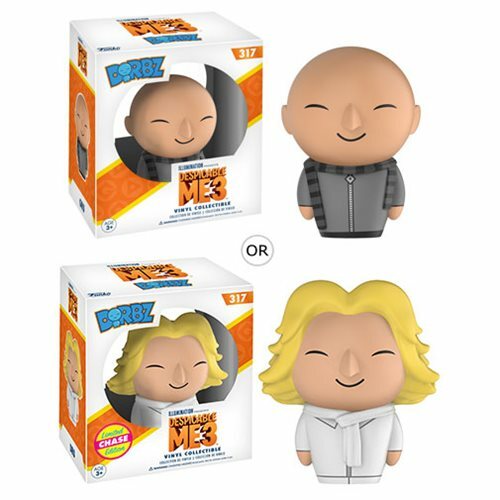 But dang, these Dorbz are starting to get good so I'm in! Got a large bulk order for cheap to get me started. I'll warn you now, they are quite addicting! I started collecting Dorbz in May and I'm almost at the 250 mark. Welcome to the Dorbz side! The Dorbz Side indeed. I like that it's a smaller community with less competition and cheaper prices. I have noticed people saying they preordered their chases. I was wondering what company people use to do this? Or do you just buy a case of 6? Thanks! I found kooltoys but was too slow for the ones I particularly wanted. 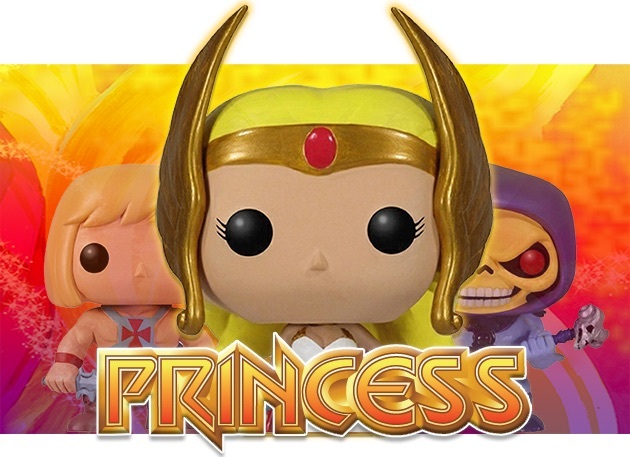 Princess wrote: I have noticed people saying they preordered their chases. I was wondering what company people use to do this? Or do you just buy a case of 6? Thanks! I found kooltoys but was too slow for the ones I particularly wanted. 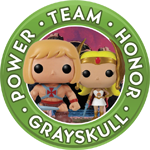 There are a few places on-line that do preorders for chases and a few that sell them by the case as well. I saw the TTG chases a while back.. If I realized how rare they were I would've nabbed them! Updated the list and will update photos later. 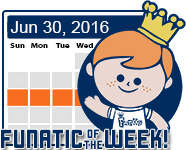 Funko still hasn't announced Mega Man (which is odd) and Beauty and the Beast pre-orders are on EE. Same here! My GF and I went to HT, FYE and GS a couple of days ago. We saw a grand total of ONE Dorbz. Not chase, one common in all 3 stores. That was it! I have a strong urge to get the Belle chase but I'm currently tapped out on cash after the last few Dorbz I picked up. Anybody interested in a kidney? DefNotBlitz wrote: I have a strong urge to get the Belle chase but I'm currently tapped out on cash after the last few Dorbz I picked up. Anybody interested in a kidney? Bing Bong added - sorry for the delay! So the Gru chase is 80s hairstylist Gru? Although I'm not a huge fan, as far as chases go that's pretty awesome. funkystark wrote: Although I'm not a huge fan, as far as chases go that's pretty awesome. 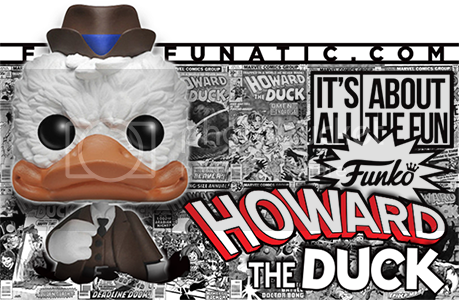 Seriously, I pre-ordered these and I didn't see that they might have chases with them. Now I need that unmasked Frank. These are awesome, already pre-ordered! That Frank chase rocks! My biggest must is still just common Frank though. What's up with this thread? The original post doesn't even have the Donnie Darko chases. Who's in charge of this thing? clashcityrocker33 wrote: What's up with this thread? The original post doesn't even have the Donnie Darko chases. Who's in charge of this thing? Some slacker who was forced to do work this afternoon. I'll have em up in the morning, don't worry. Bugs and Daffy added to the original post. Updated the original post - let me know if I'm missing any!